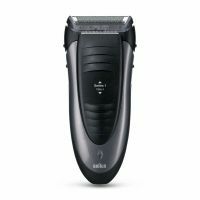 The Braun Series 1 170s shaver is Simply slide out the extendable long hair trimmer for longer hair and for moustache and sideburns shaping. it could be submerged in 5 meter deep water without a problem. Which means you can comfortably rinse it under running water for easy cleaning. It also comes with Corded shaving and Protective cap. 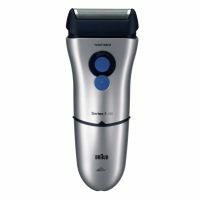 Shaving system Floating foil effortlessly follows facial contours for a smooth finish. 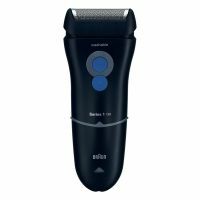 To Recieve updates and possible rewards for Braun 170s shaver please sign in. To Recieve updates and possible rewards for Trimmer, Clipper & Shaver please sign in.